Are You Up For A Cup Of Coffee…and Removing Its Stains? The company behind bamboo’s new identity is U.S. based EcoPlanet Bamboo. Co-Founded in 2010, the company has invested heavily in the silvicultural management of bamboo within a commercial setting. Operational plantations have been strategically developed in Central America, Southern and West Africa, with expansion into Southeast Asia underway. Each plantation takes advantage of species chosen for a combination of their native range, climatic suitability, and proven suitability as an alternative fibre for a particular end product. EcoPlanet Bamboo has changed the image of bamboo, through the acquisition of international certification standards that are understood by the timber industry. The company’s Nicaraguan and South African plantations have Forest Stewardship Council (FSC) certification, while the Nicaraguan plantations are also climate change accredited under the Verified Carbon Standard. The company’s business model has focused on bamboo fibre becoming a preferential alternative for four major industries. Within these, the primary goal is to replace products that are currently using trees harvested from old growth and ancient forests. Within each industry, EcoPlanet Bamboo has invested heavily in developing the technology necessary for bamboo to be a substitute fibre, that can be fed in to existing supply chains. The stage of substitution depends heavily on the industry. Ongoing research and development is also an integral part of the company’s business model, with an entire subsidiary dedicated towards this. Over the past few years EcoPlanet Bamboo has been internationally recognized for what the company refers to as “conscious capitalism” by international entities, including the World Bank and the U.S. Department of State for proving that business does not have to only take, but can give back while being financially lucrative. 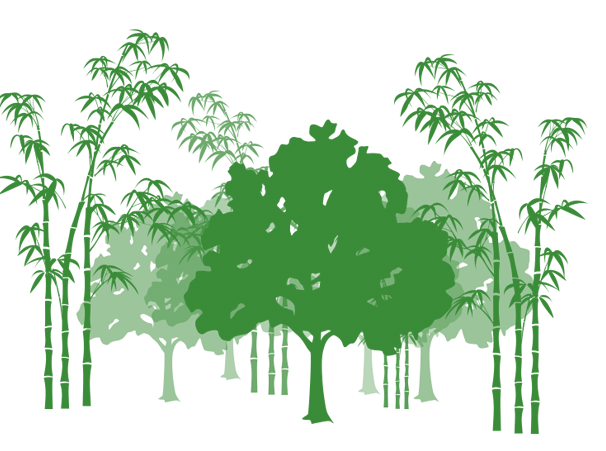 While financial returns from timber require patient capital, benefits from bamboo are seen within a 5-7 year period. Annual harvesting once maturity is reached enables social impact to be maximized, through the creation of secure and permanent jobs while the unique ecology of bamboo enables the restoration of degraded ecosystem.